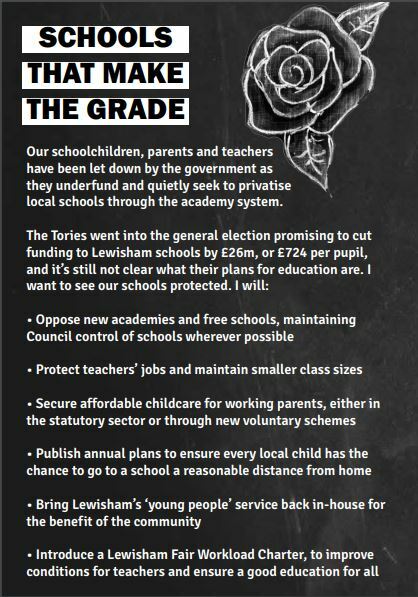 Paul Bell, one of the people seeking to be Labour’s candidate for Lewisham Mayor has announced his education policy and promises. I will as Mayor introduce a Lewisham Fair Workload Charter, to improve conditions for teachers. This is a mirror of the article on my microblog. It’s been done for various reasons mainly about propagating the the picture.